Accessorize your work gear for even better protection during difficult jobs and inclement weather conditions with Carhartt workwear from Contractor’s Clothing. 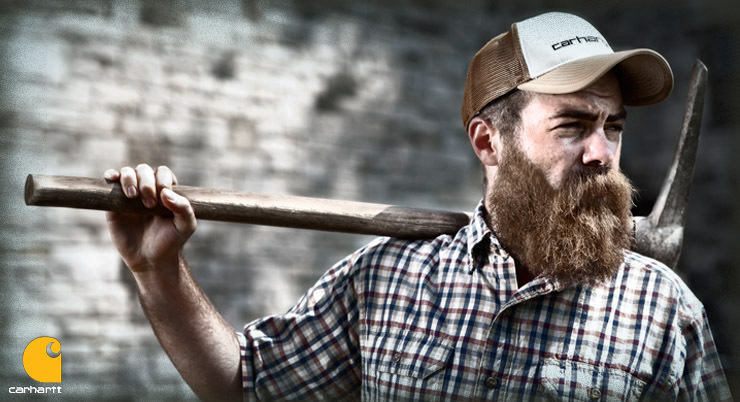 Carhartt’s line of men’s accessories includes a variety of high-quality, extremely durable hats, caps, headbands and neck protectors. Our selection of men’s wool caps includes modern styling in a range of classic colors and stripe patterns. This ensures that you can not only be warm and comfortable but also have a hat that complements your outerwear look. Quilted cotton-lined, insulated caps like the Carhartt Camden Trapper Hat provide extra protection for your head and ears with soft, lined earflaps. For whole head protection, try the Carhartt Fleece 2-in-1 Headwear which features an inner mask with an anti-microbial, moisture-wicking finish. Other specialty men’s accessories include the Carhartt Fleece Neck Gaiter which provides maximum defense against cold weather by wrapping a snug layer of fleece around your neck. We also offer a selection of flame-resistant hoods which have a chin protector and are NFPA 70E compliant. For a more casual look during warmer weather, try a Carhartt baseball style cap which includes all the quality you expect from Carhartt with classic design and long-lasting comfort. To order from our selection of men’s accessories visit Contractor’s Clothing Co.’s website for fast delivery or come to our retail locations in Madison Heights and Grand Rapids, Michigan. Our attentive and well-trained staff is always ready to help you get the best product for the job!